TEN PAGES of TROG coverage! 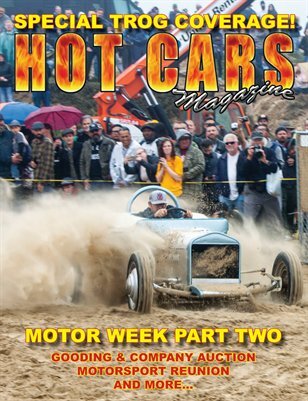 Our coverage of Monterey Motor Week continues; Gooding & Co. Auction, Spanish Bay seminars, Motorsport Reunion! Cars & Coffee Blackhawk! Race N' Rods! We check out the World Challenge sports car series. Auto Art by Al Dimauro!